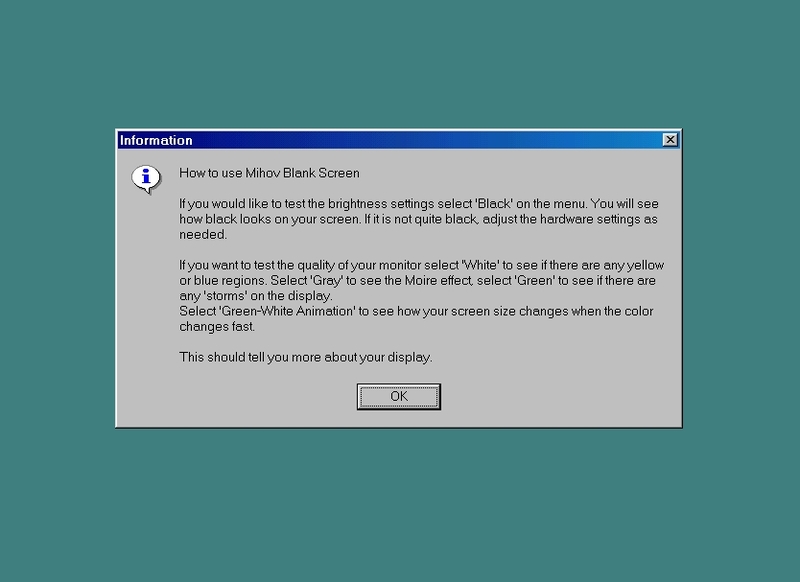 Mihov Blank Screen shows black green gray or white screen or a white-green animation. 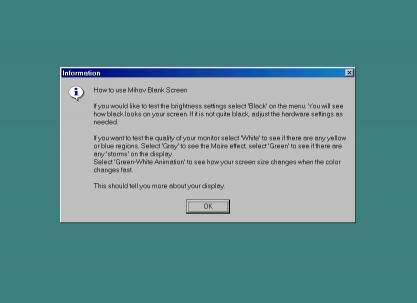 Use the program to set the brightness of your monitor and test the quality of a monitor (moire blue and yellow regions storms). Users can set their own colors to test. Version 1.5 can add a border to the color so its easier to test if the screen is aligned properly (useful for tablets).